Imagine a program that connects children and parents while engaging them in Jewish life and learning. Imagine a community of young families growing together, exploring concepts, ideas, and traditions that are the building blocks of family life. Imagine your family becoming part of a community that celebrates Jewish life together. Family Gan is a program designed to engage interfaith and same faith families with young children as they learn about Jewish values, traditions and practices through fun, hands-on activities. Families meet once a month. 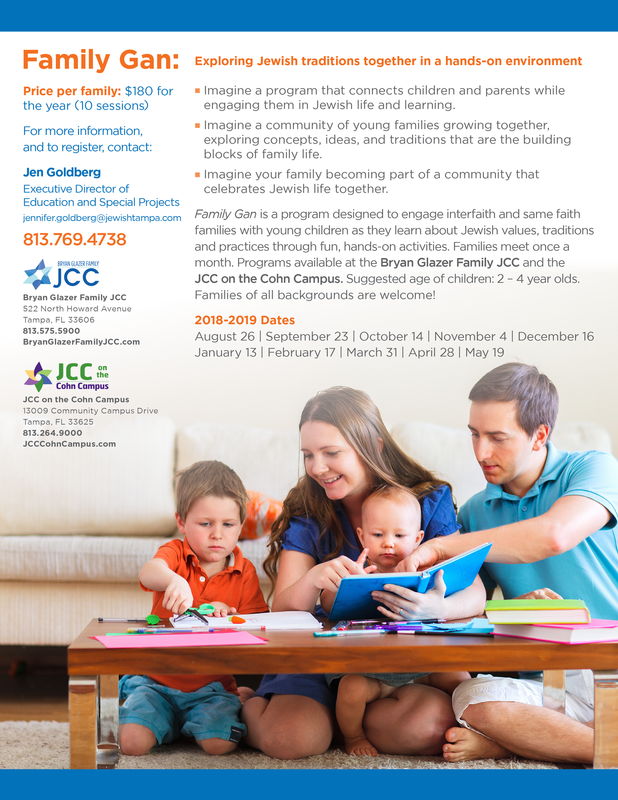 Programs available at the Bryan Glazer Family JCC and the JCC on the Cohn Campus. Suggested age of children: 2 – 4 year olds. Families of all backgrounds are welcome!